I've been a bit AWOL from this blog for a few weeks. Partly this is due to being busy but also this tends to happen to me quite often in August. I keep reading, but am not enthused to blog very much. 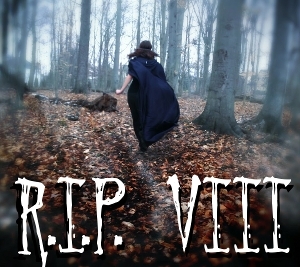 My enthusiasm tends to return in September with the advent of Carl's R.I.P. Halloween challenge... and it's here! This year Carl has put the relevant post up early and the details are here. At long last it feels as though autumn is on the way, although to be fair it has felt that way in the UK for a week or so. I for one can't wait to get started on my creepy reading. Which is to: read four books, any length, that you feel fit (the very broad definitions) of R.I.P. literature. 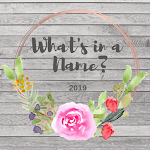 It could be King or Conan Doyle, Penny or Poe, Chandler or Collins, Lovecraft or Leroux… or anyone in between. 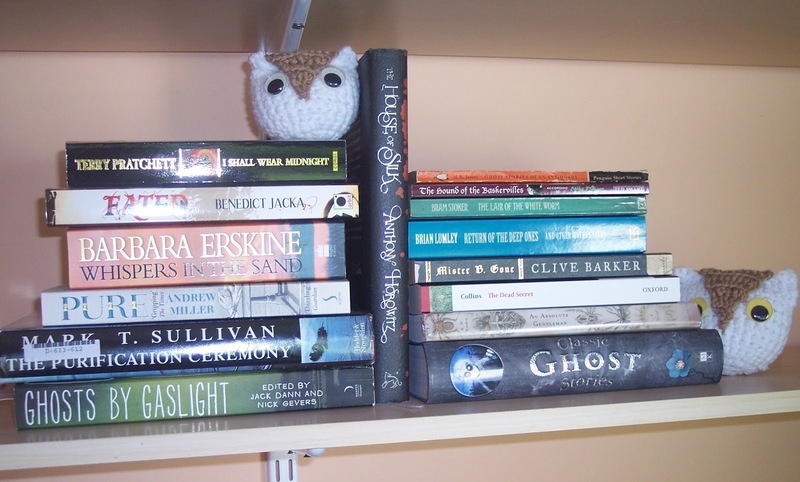 My owls look suitably alarmed by my choices, given the nature of the challenge. They include authors such as Wilkie Collins, M.R. 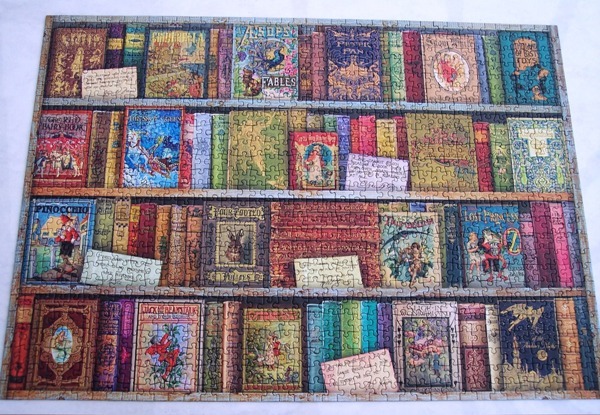 James, Anthony Horrowitz, Andrew Miller, Benedict Jacka, and no challenge would ever be complete for me without a book or two by Terry Pratchett. I should also add that I have a number of books on my Kindle that are suitable as well. Hope everyone doing this challenge has a great time, and thanks to Carl, as always, for hosting it and giving so many people such a lot of fun. 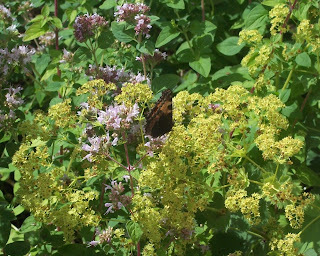 Although the butterfly is quite hard to see in this I did like the contrast of the dark parts of the butterfly with the pale yellow of the alchemilla mollis, although I think the butterfly is actually on the marjoram. The alchemilla mollis does not attract any bees or butterflies it seems, so we're going to take most of it out of this sloping bed and allow marjoram and oregano to take it over. Bees are in trouble and anything we can do as gardeners is a help I imagine. And here's the best shot I got although I feel it's a trifle blurred. 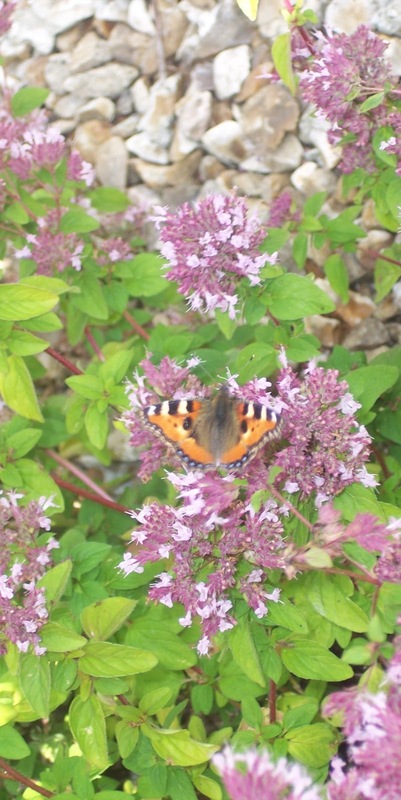 I believe the butterfly I've photographed here is a small tortoiseshell, but am not certain as butterfly identification is not my strong point. 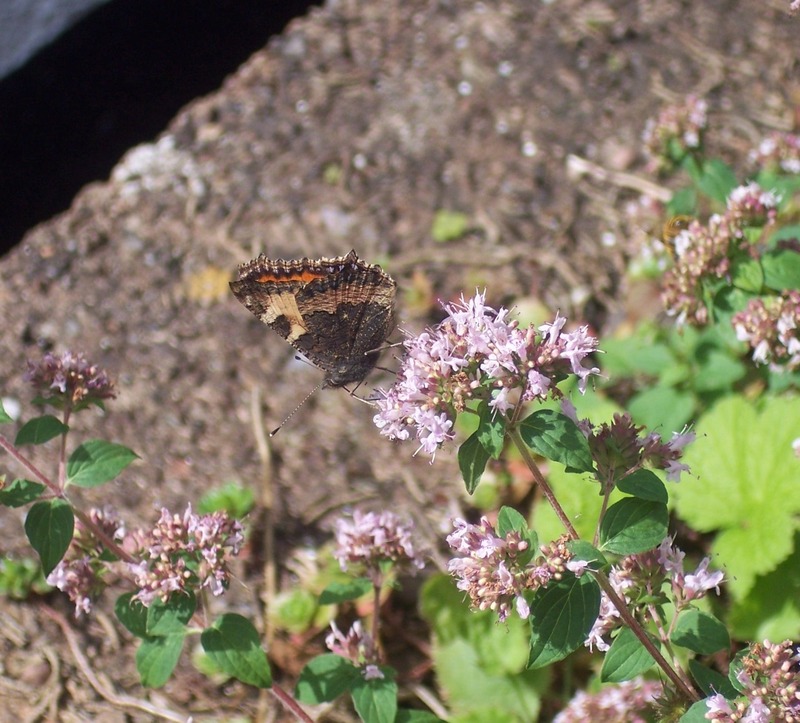 *But* Grand-daughter and I had a lot of fun flitting around almost as much as the butterflies. 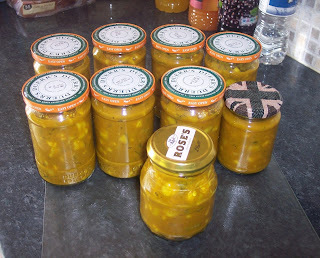 For those that don't know this is piccalilli, a pickle we Brits eat a lot of, but which originated in India I think. As with many things it's nicer homemade and as we had some of the veg, courgettes, shallots, French and runner beans, readily available in the garden, we decided to make it for the first time in years. All we had to buy was a cauliflower and a cucumber. Very pleased with how it turned out and will probably make a second batch in a couple of weeks. 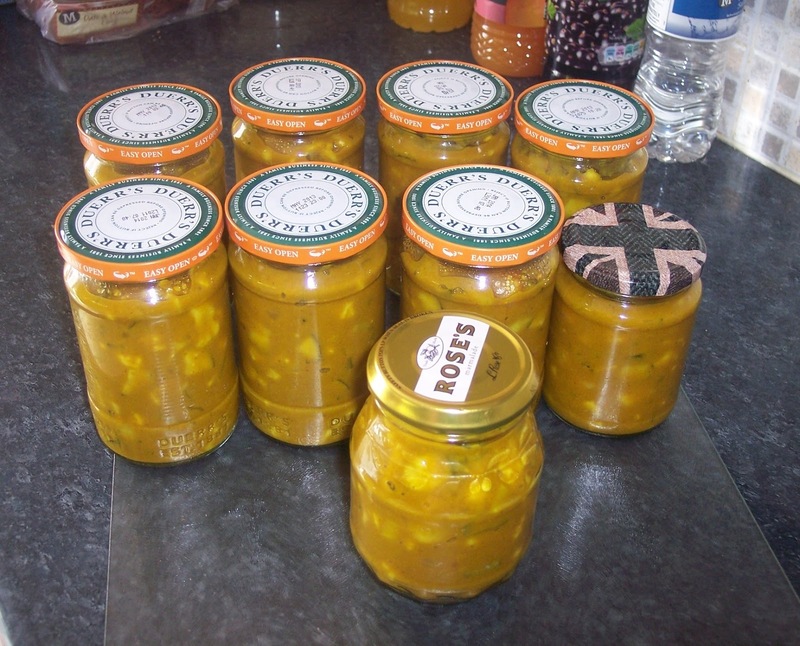 Last week we did a batch of pickled shallots so our pickling cupboard is starting to look good for the winter.